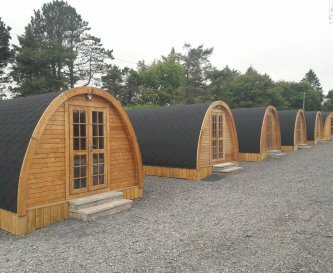 Let's Go Hydro Glamping, Belfast, County Antrim, sleeps 4-140 in 40 bedrooms. 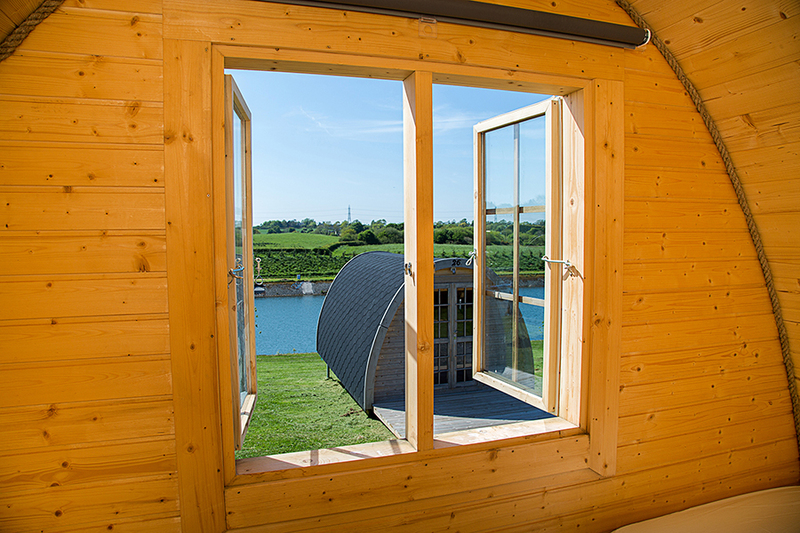 The glamping pods at Let's Go Hydro are situated on the grounds of Knockbracken Reservoir and boast impressive views overlooking the water, as well as Belfast. 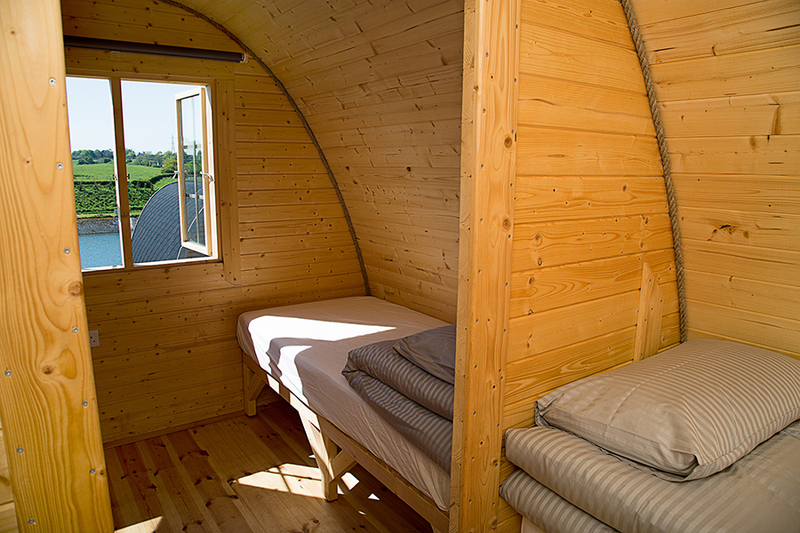 Each pod has two compartments 2.1m x 2.6m each with two single beds, a total of 4 beds per pod. 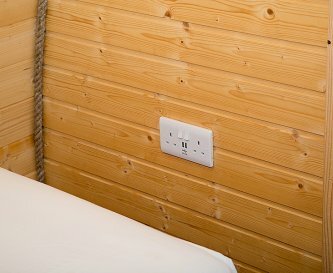 Each pod has electric lights, sockets and USB charge points. Guests have two choices. They can bring their own linen and or sleeping bags to use with protected mattresses. 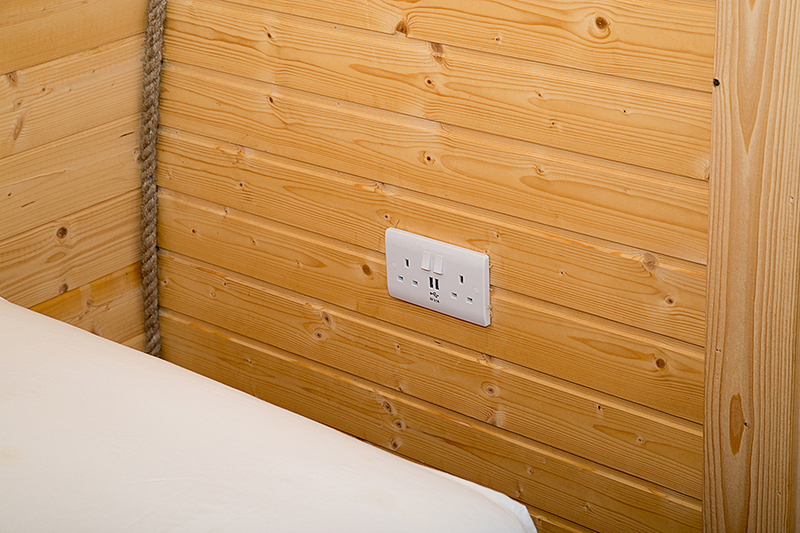 Alternatively, guests can hire a pod with bed linen with pillow and duvet. Guests will have access to outside water taps and shared bathroom facilities located in the main reception hub approx. 50m from glamping site. Swedish barbecue huts available for hire. A kitchen is also available at the main reception hub. The kitchen includes a kettle, toaster, microwave fridge freezer and cooking utensils. There are picnic tables outside every other pod. Kitchen is shared in the communal area and includes access to a cooker, microwave oven, kettle, cleaning facilities and fridge. 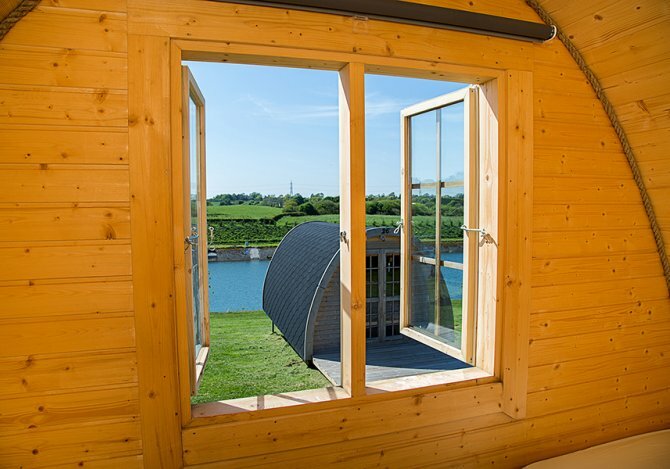 Visitors can dine in the communal area, in barbecue pods on site (extra charge) or in the cafés. Sitting room has TV, WiFi, board games, and communal seating. Television is available in the communal area with freeview. WiFi is available in the communal area and cafe. Games room consists of darts, table tennis, table football and board games. Open fires can be provided on-site for burning only logs available on-site. Please do not light fires elsewhere on the property. 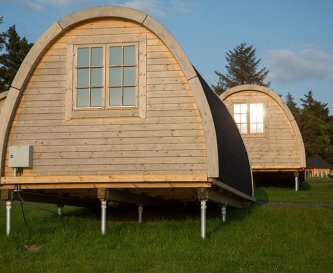 Each glamping pod comfortably sleeps 4 people on 4 individual single beds. Bed linen is available at an extra cost of £10 per person. 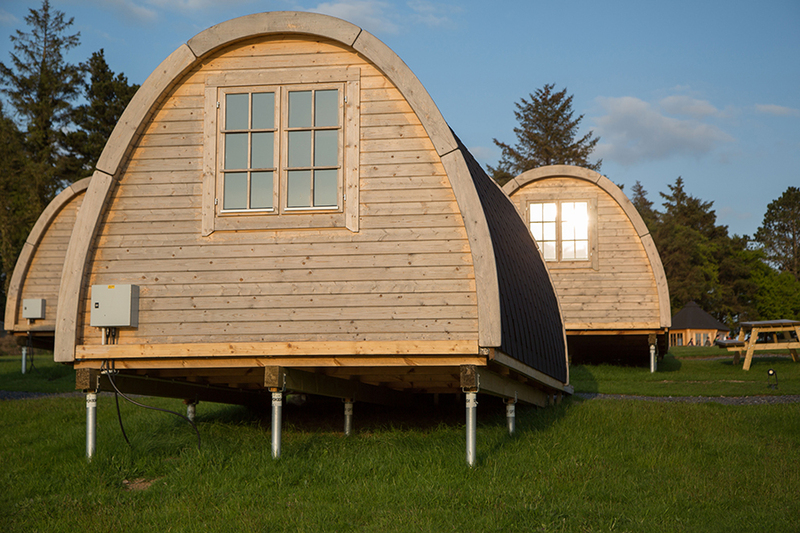 Outdoor communal bathrooms are available within 30-100 metres of glamping pods depending on location. Bathrooms also in the cafe and communal area. 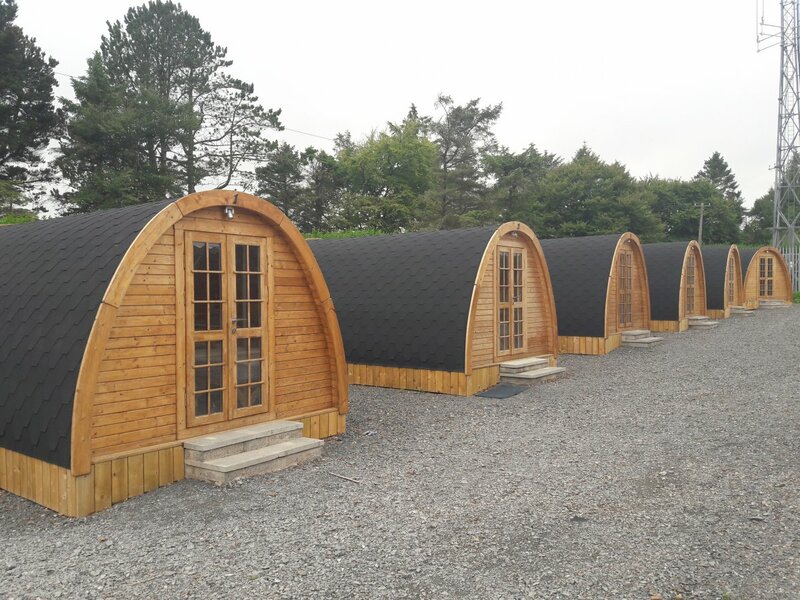 We have disability parking access and pods which are available for customers with mobility requirements. We do not have cots available. 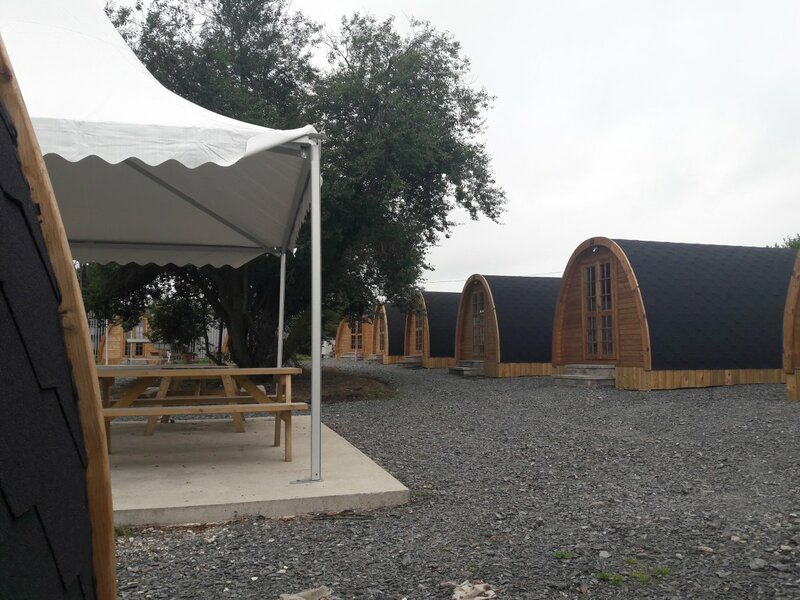 Communal barbecue and picnic areas, fire pits, picnic tables. Set within the grounds of Knockbracken Reservoir. We hold open water swimming sessions 3 times a week on the reservoir. Parking is plentiful and free. We can accommodate all vehicles in our 3 private car parks. 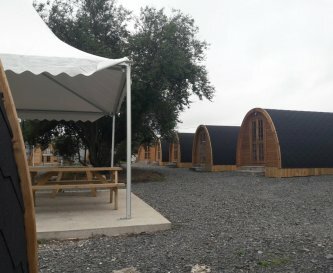 Smoking is not allowed in glamping pods. 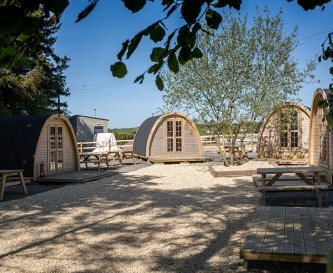 Pets are allowed on the site, although not allowed to stay in glamping pods. Let's Go Hydro is 20 minutes drive from Belfast City Centre and is easily accessible by public transport. Belfast City Centre is 20 minutes away by car. Several nearby shops, pharmacies and off-sales on the Knockbracken Road, less than 5 minutes drive. We have 2 cafés on-site and a number of takeaway and sit in restaurants near to Let's Go Hydro. Please use the contact form to enquire about Group availability. 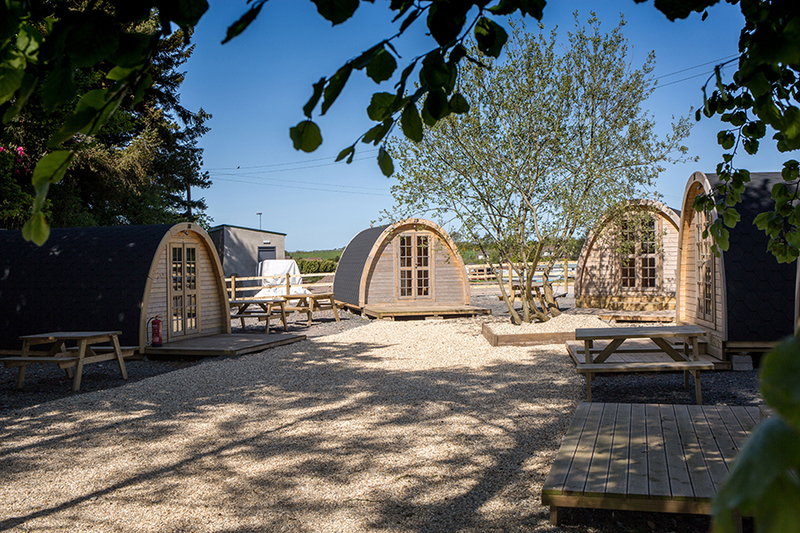 Prices start from £15 per person per night. 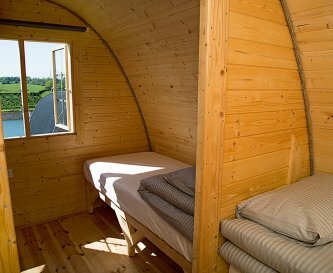 Pods sleep up to 4 so £60 per pod per night. Linen hire available at £10 per person. The nearest bus is opposite Let's Go Hydro. Belfast City Airport is around 30 minutes drive.